Aptech’s professional course in ground staff services will prepare you to handle ground activities at airports & airline companies. 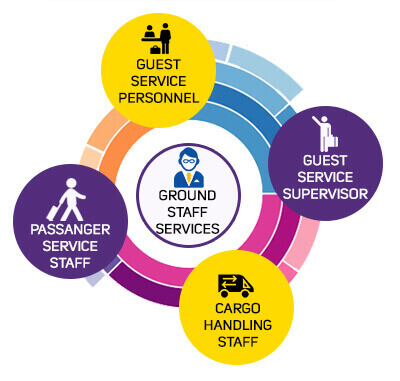 The need and demand for efficient ground staff is increasing. The air traffic in India is expected to be 450 million by 2020**. In addition, tons of cargo is transported by air daily. Aptech’s course trains you to handle both people & cargo, and to work in various job roles in the areas of airport handling, cargo and transportation, passenger handling, and customer service. On successfully completing the course, you will have in-depth knowledge of the principles and operational procedures utilised by the aviation industry and will be able to deal with customer enquiries efficiently.